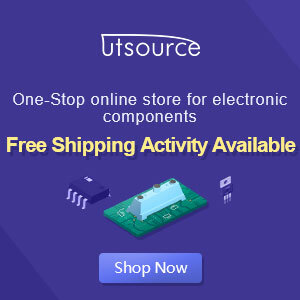 This circuit can be used to charge Accu and cells battery , the circuit can has a very stable output that would make the battery last longer and maximize the added battery capacity. When charge was also quite fast , so it can optimize the time. 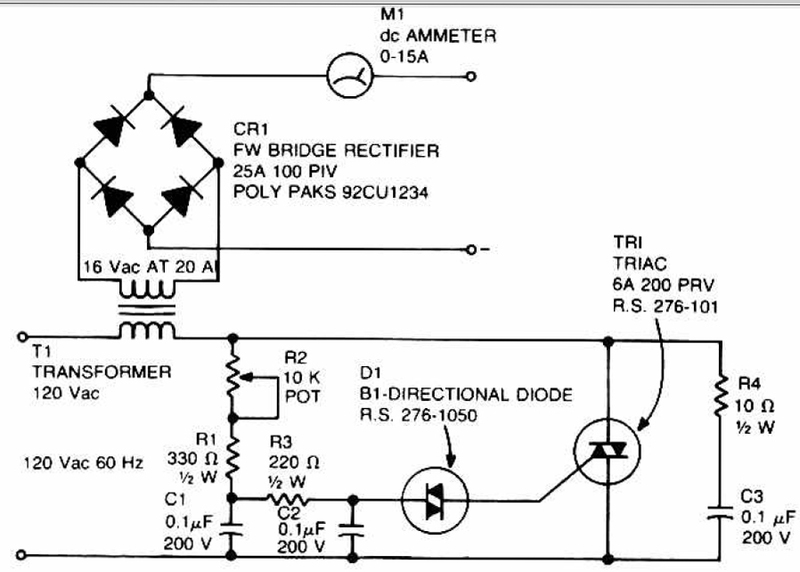 A diac is used in the gate circuit to provide a threshold level for firing the triac . C3 and R4 provide a transient suppression network. R1 , R2 , R3 , C1 , and C2 provide a hase - shift network for the signal being applied to the gate. 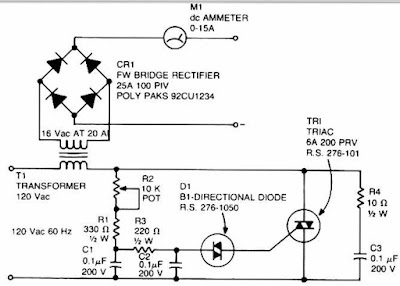 R1 is selected to limit the maximum charging current at full rotation of R2.